It is the mission of the Benton Parks and Recreation Department to enhance the quality of life in our community. We will strive to provide and maintain quality parks, green spaces, as well as offer enriching recreation activities to the citizens in our community. These services will enhance residents’ health and well-being and promote economic vitality for long-term community sustainability. We will accomplish this through creative leadership, environmentally sustainable practices, and the responsible use of available resources. You can now reserve facilities, and enroll in activities and programs ONLINE!!!! Check it out! 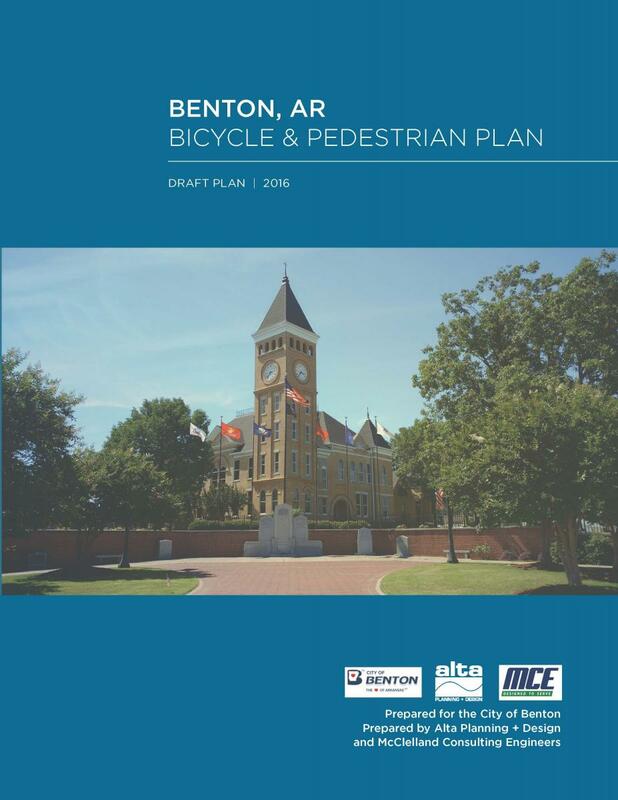 In the fall of 2015, the city council approved the creation of a Bicycle & Pedestrian Master Plan for Benton. Part of the process is gathering as much information as possible from stakeholders, especially residents. The planning process began with a Kickoff Meeting in December 2015, which was the first of four project Steering Committee meetings. Aside from Steering Committee input, the planning process included several other important methods of public outreach and involvement. The project website hosted here on the Parks & Recreation home page, public comment form, stakeholder meetings, social media, and public events were all used to gather input for the plan and to ask for feedback on the draft plan. The draft plan can be accessed by clicking on the photo. The review period will continue through the end of July. Please contact Stephanie Jones ( sjones@bentonar.org ) with any comments or leave any comments you may have by clicking the link below and completing the online survey.